Want to advertise your business sharply? 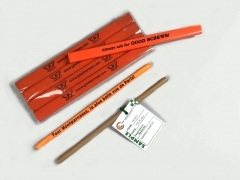 We provide wooden pencils with your logo or message with solid or metallic imprinting. Also perfect for schools, colleges, and offices used by people of all ages. Our wooden pencils are various in shape, effect, and lead. Effect: nature wooden; glitter printing; color printing by Pantone no.